It wouldn’t be a healthy Friday without Cinco Bala. This weeks top 5 lessons, hacks and quotes I’ve been pondering, applying and battling. For those of you who are new, this is a concept I took from Tim Ferriss. (This is just focused on MLM and online marketing) If you don’t subscribe to his newsletter. You should do it. Lesson in Network Marketing: Understand Your Comp Plan – There are five primary types of compensation plan. Nearly every single plan falls into one of these categories and it’s up to us as independent distributors to understand the differences and make the conscious choice as to which one we should be apart of. Most of us got into our first company out of chance. There was no evaluation against other companies or even opportunities. And in most cases, people will join additional companies without really knowing how to market the opportunity and products or even how they get paid. 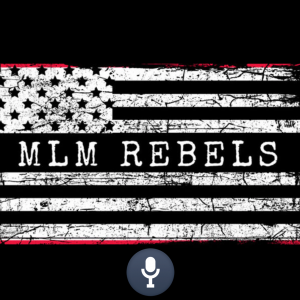 So, in order to shed some light on this subject, listen to one of the most recent podcast episodes from MLM Rebels where I break down those primary types of comp plans and how they compare. And don’t worry, I don’t actually tell you which one is best or why mine is good (if you even know which one it is.) It’s a truly unbiased approach. The third isn’t as severe but it still falls into the category. My lack of priority in branding myself over the past few years. I have focused almost solely on direct response marketing and let branding or impression based marketing fall to the wayside. My reasoning? Ad networks will ALWAYS take money from you if you want to advertise. So if you should learn ONE skill, it’s to figure out how to monetize advertisements. Advertising will always be around. It truly does seem like the most predictable way to wealth. …And I still believe that. My mistake? Not taking 20% of my time and branding myself more intelligently. I did take 5% of my time to do it thankfully. But it’s still a far cry from 20%. If I had to do it all again, I’d still focus primarily on direct response principles but I’d take a larger portion of time to publish CONSTANTLY via a podcast and YouTube above all else. In a few weeks, they’ll be a podcast coming down the pike from our show “Entrepreneur Discovered” from the “King of personal branding.” During that interview you’ll discover why YouTube is the #1 place to be producing content. And the research is in that podcasts attract higher quality people than ANY other content consumption platform. So publishing there is a no brainer. A Relief: Hiring Another Ad Manager – WHAT?! The ad guy has an ad manager. YES. Yes I do. Because where is my strength? Pressing buttons in the ads manager dashboard or writing new ads, making new videos, new creatives and exploring other ad networks? She has taken the monster load of dealing with ad networks occasional stupidity off my plate and allowed me to focus on how I can serve my team the best. …Plus what’s super fun, is I hope to someday offer ad managing services to Rebels Recruiting System users. It’s a bit of a pipe dream right now because of the moving parts, contracts and costs but I’m hopeful. In The Works: Intelligent Community – We were recently connected with a brilliant agency owner who helped a top earner in another company grow her team from 200 personal reps to 550,000 reps. But they have a weak spot. A chink in their armor. It just so happens that Ashley and I’s biggest strength in MLM is their biggest weakness. And their biggest strength is our biggest weakness. Did you know that the word “coincidence” is not even apart of apart of the Hebrew language? The Biblical writers clearly did not believe in luck or coincidence. And every time I’m tempted to believe in luck, I’m slapped with the realization that I’m WRONG. As I write this, we’re in talks about helping them with their acquisition systems and we’re simultaneously learning about how they build their communities. Needless to say I’m excited to start empowering our team well beyond what they’re currently receiving.